Kuya Rey works as a travel agent in Cameron Highlands in the state of Pahang in Malaysia. 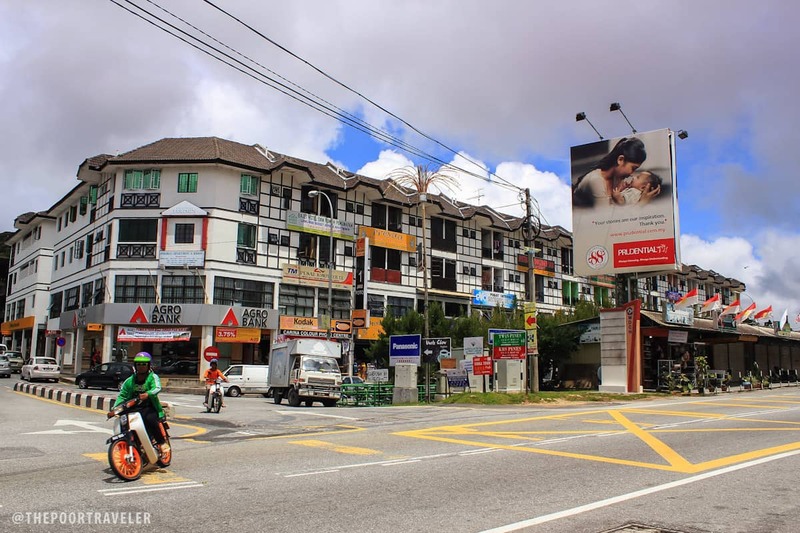 The weather was rather gloomy, but the bright energy filled the atmosphere in the town of Tanah Rata. 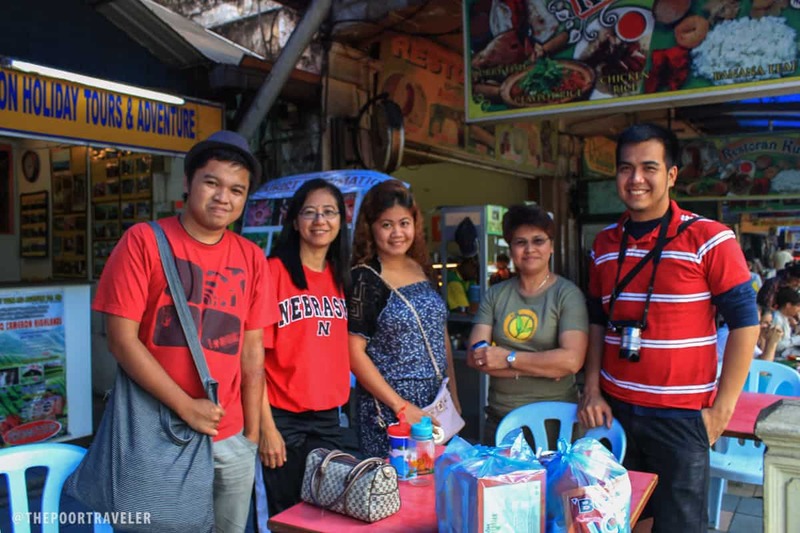 We were fortunate and thankful that in our 3-day stay there, we were able to come across six OFWs (Overseas Filipino Workers) in the region. With OFWs in Cameron Highlands. They were so nice and helpful. 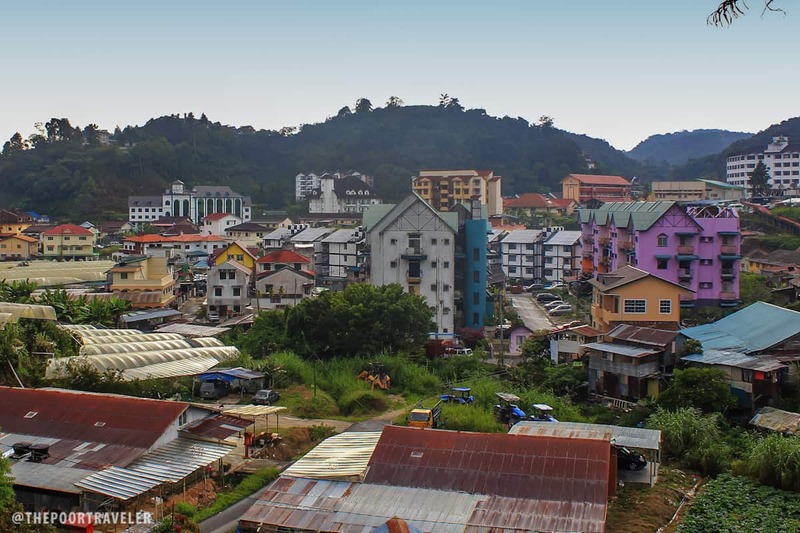 Tanah Rata literally means “flat ground,” so called for its topographical feature that paved way for settlements to boom in this part of the mountains. 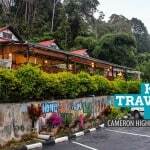 It is the biggest town in Cameron Highlands, an extensive hill station spanning 712 square kilometers. 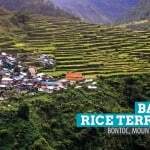 It has emerged as a favorite tourist destination for many who wish to experience a more “countryside” lifestyle and escape the heat of the city. What I liked most about the region is its climate. Average temperatures just play between 24°C (average high) and 14°C (average low). 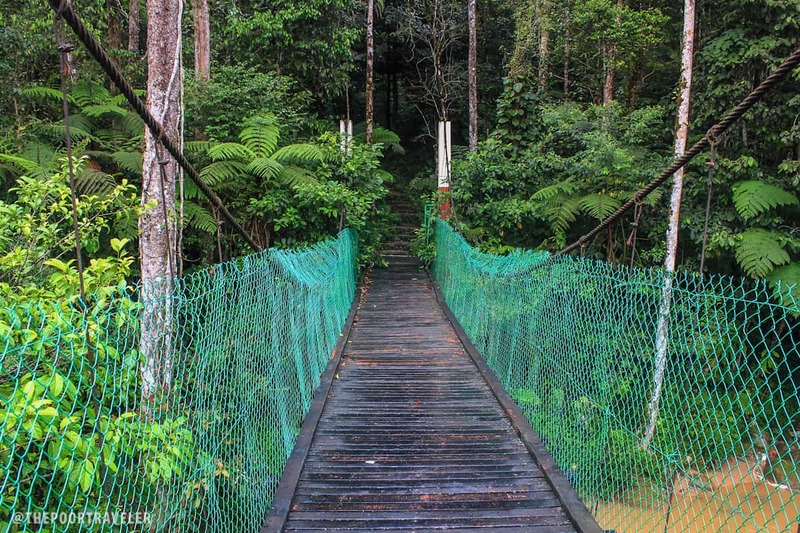 It boasts an active tourism, propelled mostly by its tea plantations, rainforests, and various farms. The BOH Tea Plantation was the first stop in the “leisure tour” that we availed of. BOH Plantations Sdn Bhd is the number 1 tea grower in Malaysia. 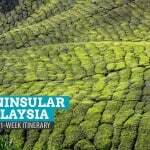 They have a number of tea gardens in Cameron Highlands. 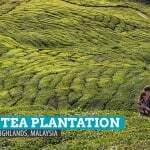 They produce over 4 million kilos of tea every year, about 70% of all tea manufactured in Malaysia. There are over a thousand different varieties of teas, but to many tea lovers, four main types dominate the tea world — black, green, white, and oolong. All four are made from the leaves of Camellia sinensis. BOH grows black tea, the stronger, bolder, and more oxidized type. We were dropped off at the side of the road that snakes across the vast fields and rolling hills of shrubs. We also got to explore the tea factory where we watched workers process tea leaves they harvested from the farm. There are exhibit halls that showcase the old equipment, boards depicting the history of the company, and a short video about the place. One corner tucks a small store where guests can purchase BOH tea products. At the other side of the hall is the Tea’Ria Refreshment Area, which serves their premium teas along with some delectable pastries. 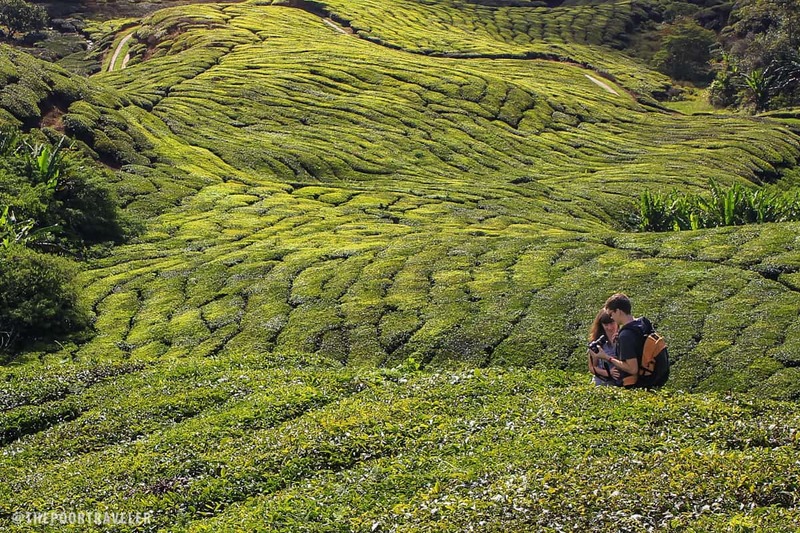 Read more about BOH Tea Plantation here. 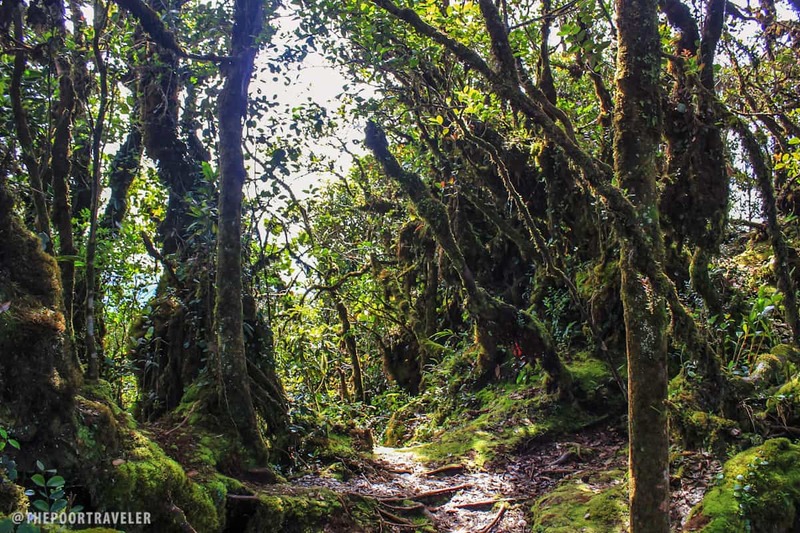 There is something haunting about the 200,000-year old Mossy Forest of Gunung Brinchang, the second highest peak in Cameron Highlands and the highest point in Peninsular Malaysia that is accessible by road. Even from afar, when I was looking at the area from the 50m tall Lookout Tower, I could feel the eerie atmosphere it fostered as it slowly welcomed the blanketing thick sheet of low-lying clouds. 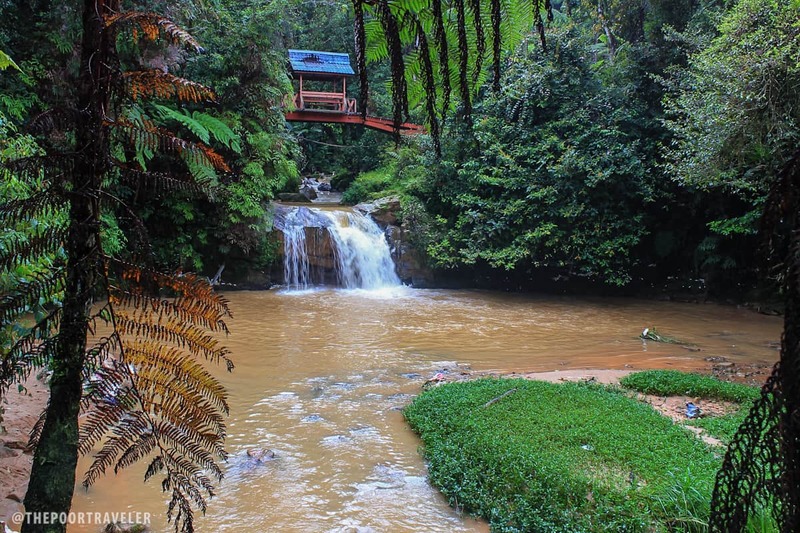 At 2000 meters tall, the summit of Gunung Brinchang regularly catches a lot of rain and constantly embraces mists and clouds, ensuring a moist and dewy environment, to the satisfaction of the wide array of plants that cover its slopes. 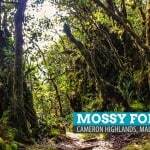 The trees are hugged by thick layers of moss, lichen, and ferns that drape from their trunks to the ground. Around the trail are several Nepenthes pitcher plants (also known as monkey cups), a tropical montane monotypic plant with flowers that trap its prey, usually insects and small vertebrates. More about the Mossy Forest and how I miss the Big Bad Wolf here. 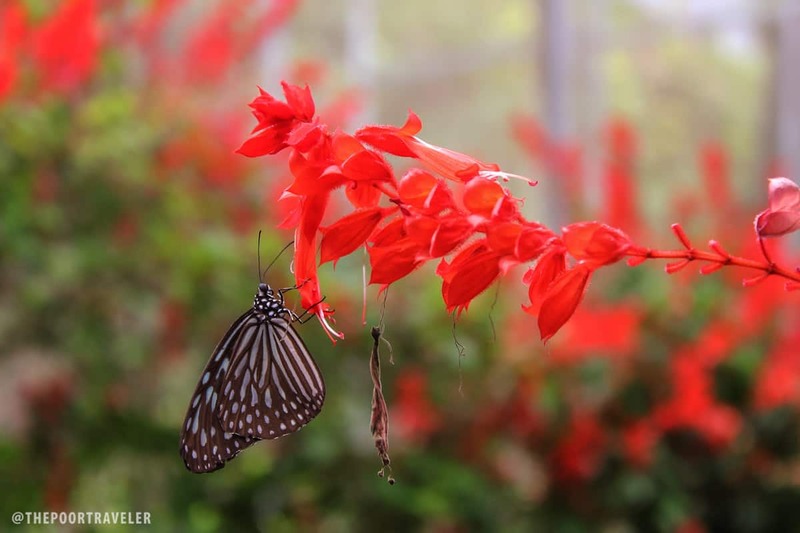 Taman Rama-Rama’s Butterfly Park is not that different from the usual butterfly gardens we have here in the Philippines. I guess once you’ve been to one, you’ve been to all. What sets it apart from the pack though is the mini-zoo beside it. 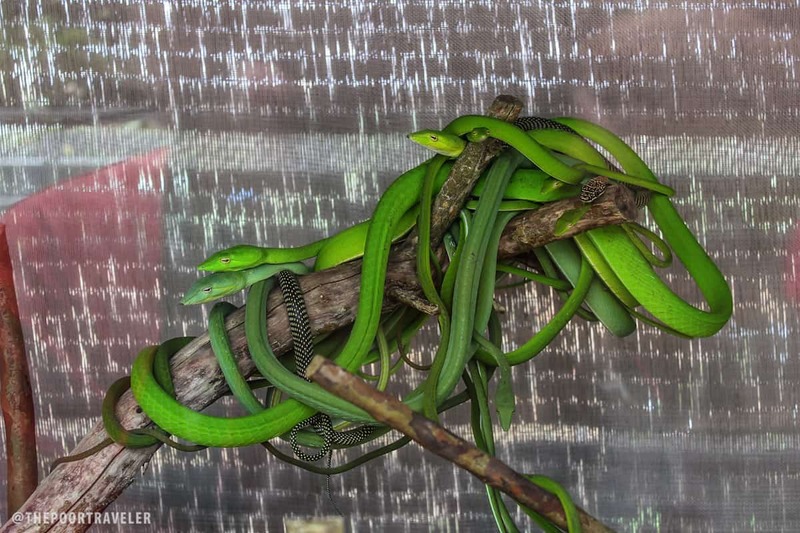 They have quite a diverse collection of bugs and small reptiles that kids will truly enjoy and adults may find curious. I’m just not big on bugs and crawlers — they give me the creeps — so I actually just breezed through the place. 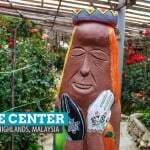 There are many things in and about Cameron Highlands that remind me so much of Baguio City here in the Philippines. 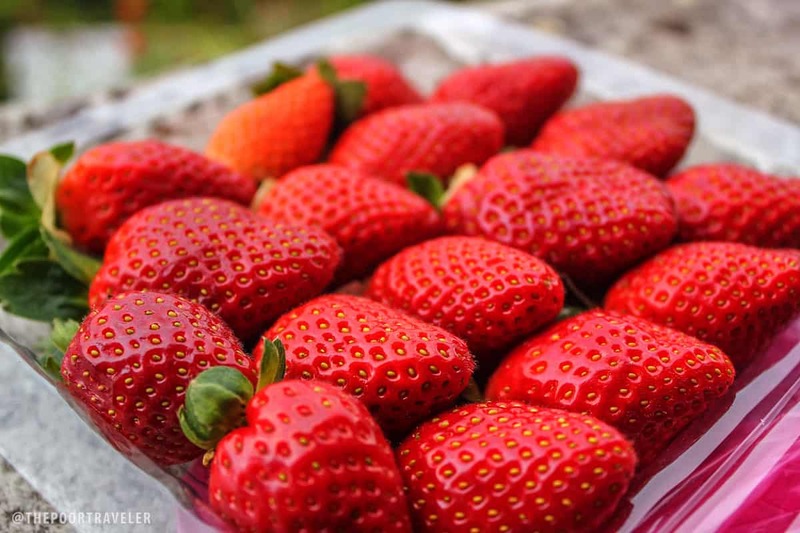 One of them is their obsession with strawberries, and this is clearly evident in places like Raju Hill, a strawberry farm that is open to everyone for free. 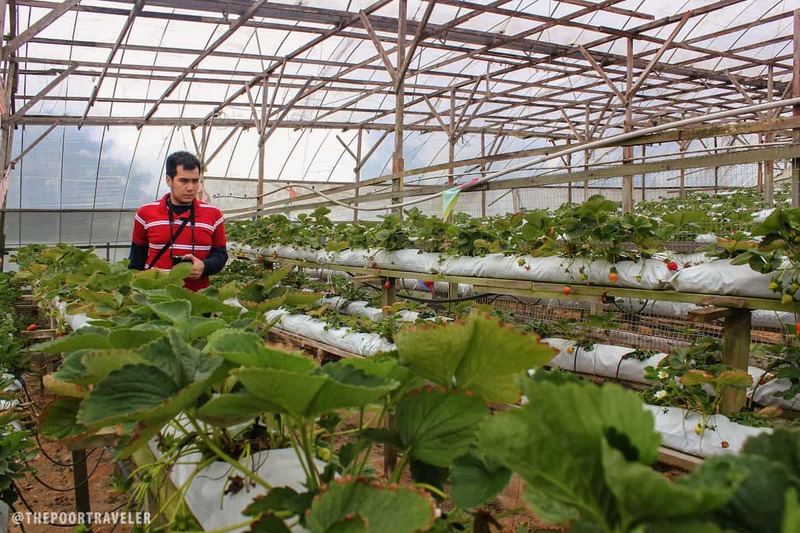 Guests are invited to go around the farm as long as they don’t pluck fruits. 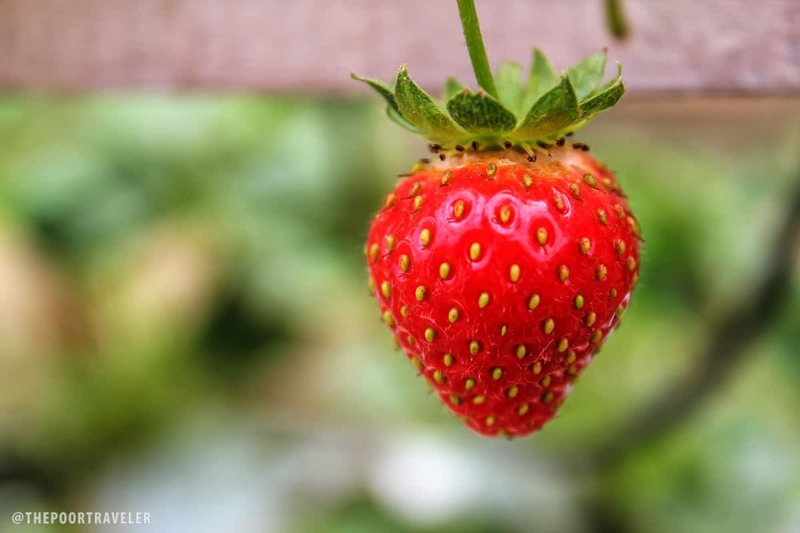 But if you want to have a taste of their strawberries, there’s a cafe in the area where they serve a wide array of strawberry products — from cakes to shakes. Fresh strawberries are also available. 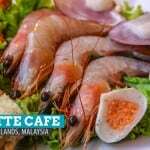 The Rose Centre Kea Farm, simply known in the region as Rose Centre, is located around 5km from Brinchang. Established in 1989, it was originally a vegetable farm but later blossomed into a vibrant garden. 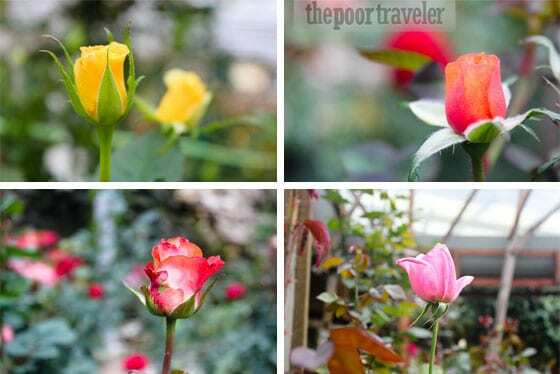 Aside from a wide variety of roses, the place boasts hundred of other flowers of all shapes, sizes, and colors. It is made up of 10 levels of terraces, spanning an entire face of a slope of a hill. Read more about Rose Center here. 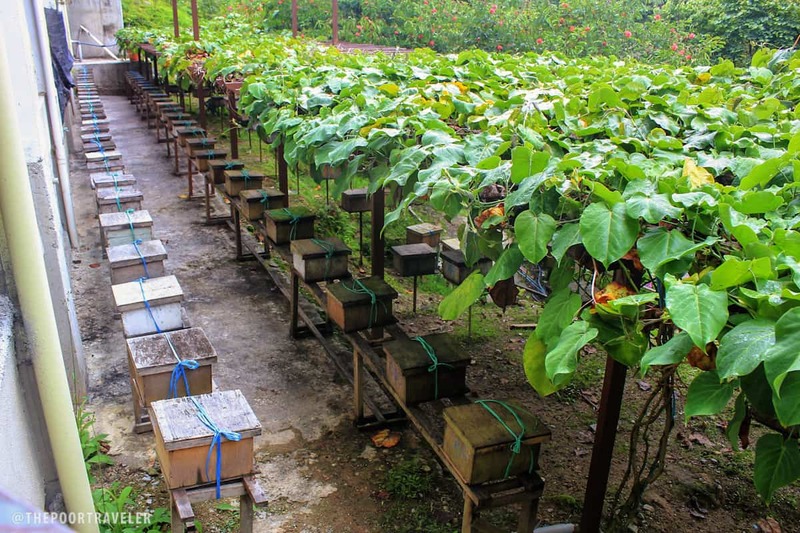 Maybe it was just the weather but there really was not anything spectacular about Ee Feng Gu Bee Farm. It has already started raining and we could not roam around the area anymore. Thing is, there was really not much in the area but the rows of honey combs skirting a typical garden. They probably offer guided tours with demonstration of honey harvesting but that was not available during our visit. 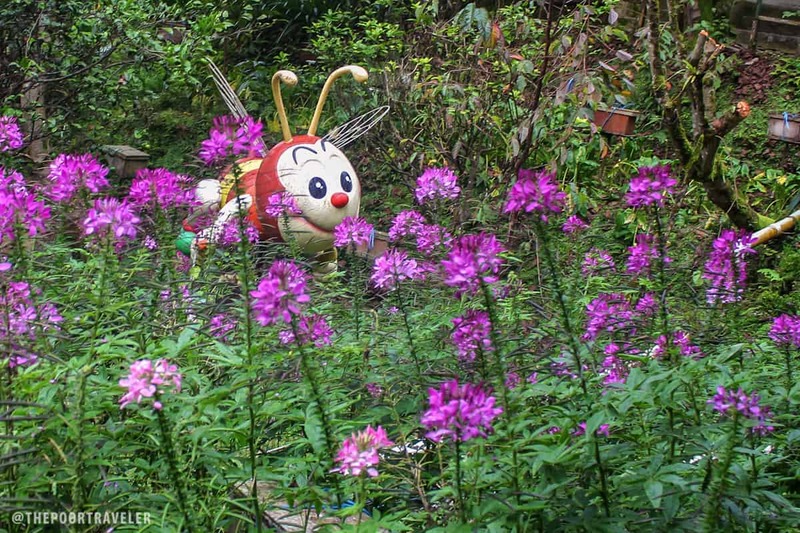 The giant statues of honey bees were cute, though. Jollibee, what are you doing here? 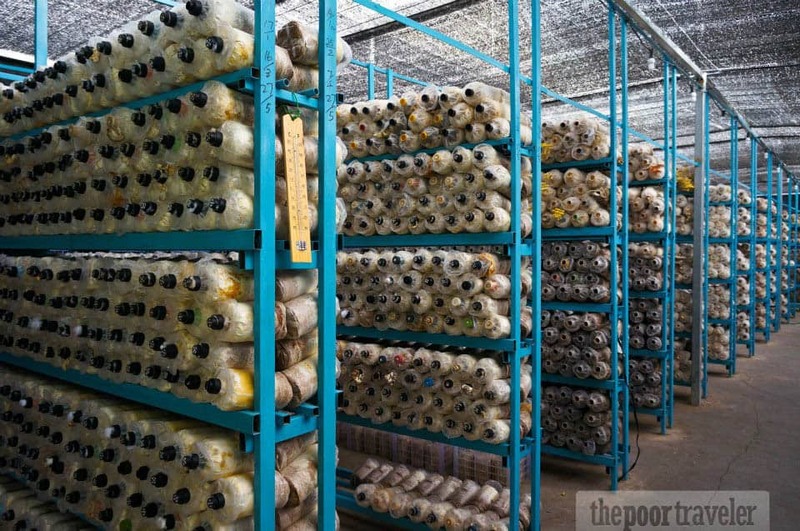 My visit to the mushroom farm was memorable mainly because I had not been to one before. 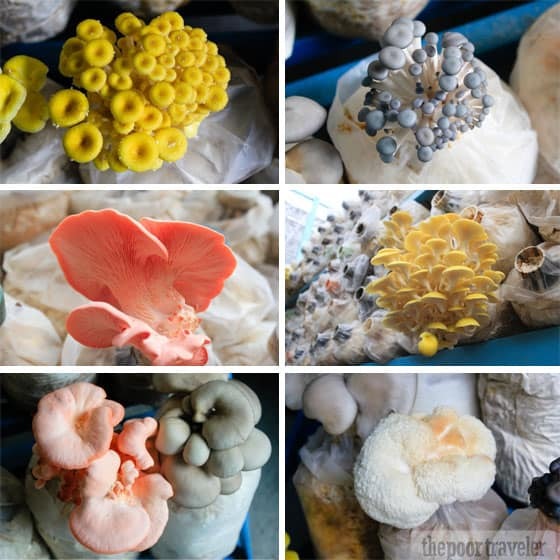 The center grows abalone mushrooms of different colors — grey, yellow, coral, white. We even spotted one monkey head mushroom (Hericium erinaceus), so called for its hairy or furry appearance. Cute as these mushrooms may look, we ended up buying nothing. If only they sell cooked mushroom dishes, instead. Abalone mushrooms. The one in the bottom right corner is the monkeyhead mushroom. The Market Square consists of a couple of lanes of stalls, selling mostly produce. While it may appear ordinary to many, checking out the stores here proved to be entertaining as well. Many things that were new to me immediately caught my attention. From blue roses to giant eggplants (I had never seen eggplants that big!) 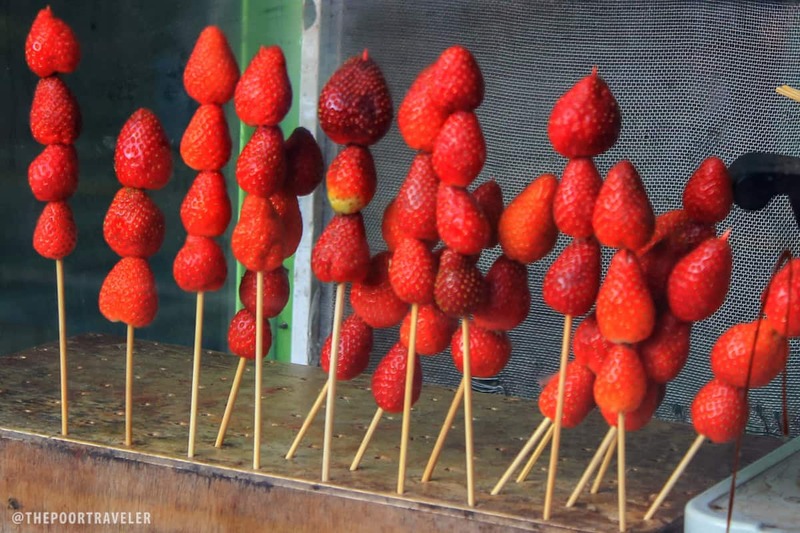 to strawberries on stick (well, I had seen strawberries alright but not sold on stick a la barbeque). There was also a cart serving Malaysian-style street food. Roses for sale. I adore the blue and orange ones. Standing on top of a hill overlooking Brinchang, Sam Poh Temple provides a stunning view of the town and a great place for relaxation and meditation. 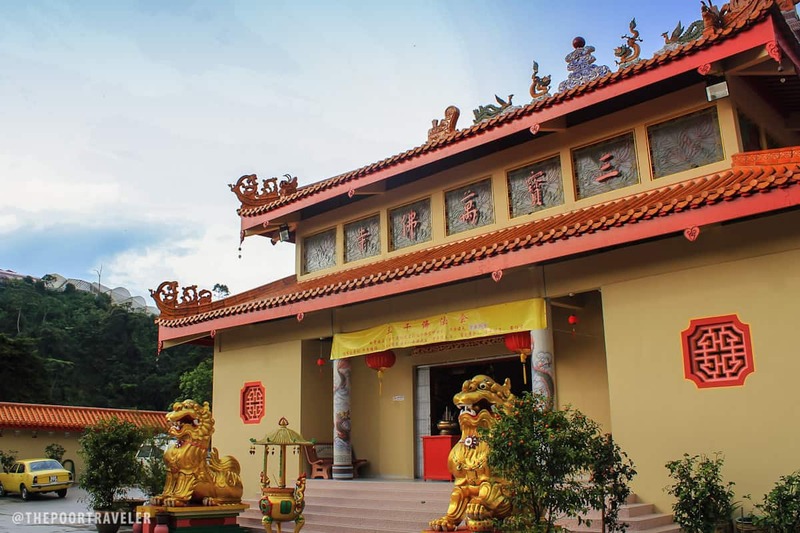 Said to be the fourth biggest Buddhist temple in Malaysia, the temple is composed of several halls that house giant statues of Buddha and the Four Heavenly Kings among others. 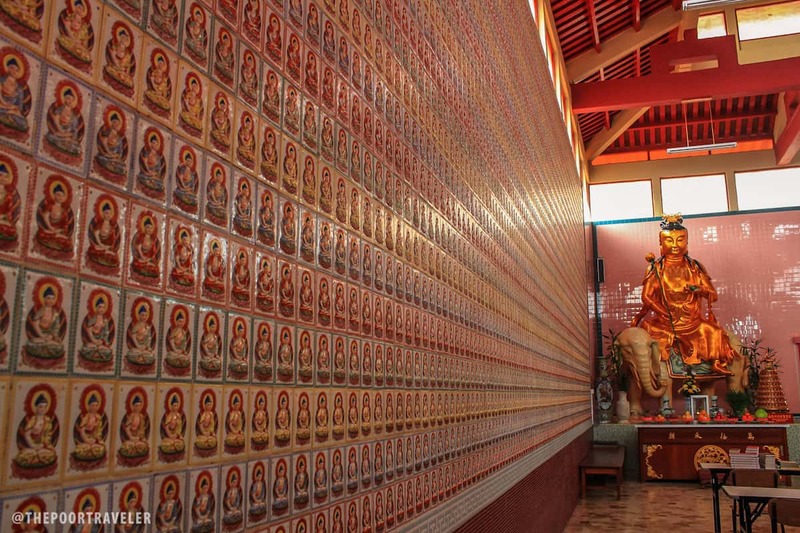 The temple was built in 1972 and has been maintained by monks. “This is the most amazing waterfall I have seen in Malaysia today,” a man next to us declared. He was amused but sarcastic at the same time. Parit Waterfall is small, underwhelming, and does not really compare to some of the other waterfalls I had seen in Malaysia. But the place was still appealing, at least to me, who is always in love with the forest. The site was really peaceful and calming. From here, two jungle trails could be taken and I really wanted to do the one that would lead to the town center of Tanah Rata. Unfortunately, we were afraid it would rain heavily in the next hour that we would be drenched by the time we reach our hostel. If I would do it again, I would opt with the half-day tour instead. Many of the sites we visited during the latter half of our tour were more on the “tourist trap” end of the spectrum. They felt like fillers. Truth be told, the primary reason we were dying to go to Cameron Highlands was a chance to see the Rafflesia, the biggest flower on earth. Unfortunately, bad timing messed up our plans again. It was not the flower’s season anymore so we had to do this whole day leisure tour instead. While we did not get what we came here for, we still left pretty satisfied. 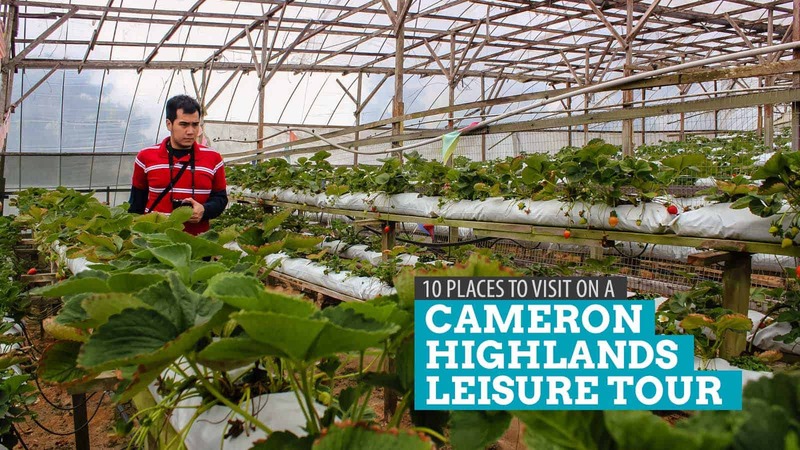 So satisfied that of all the places in Malaysia that I had been to, Cameron Highlands is my absolute favorite. Can you share the contact information of Kuya Rey? Thanks. Hello.. meron po kayong contact details ng tour operator? 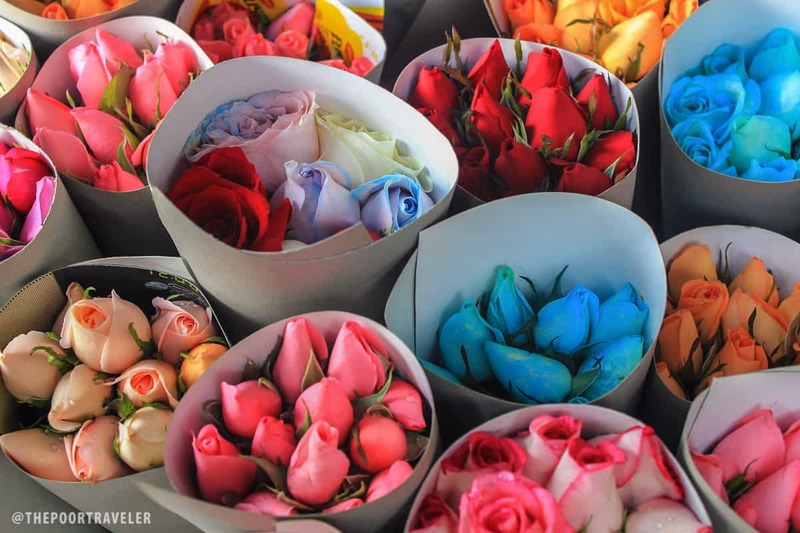 hello where this colorful roses?